One thing we have come to realize is, Siri isn’t as useful as some of us may like. In its current state, Siri is unable to interact with Twitter and Facebook natively. Our very own whiz kid Steven Chi has documented a workaround so that you can update your Twitter and Facebook account via Siri. For those of you unfamiliar, Twitter and Facebook offer the ability to use your mobile phone’s SMS capabilities to update your status or timeline. Once you verify your account from within your respective accounts, you can begin sending SMS messages to the provided mobile number for each application. What Steven Chi has done is circumvented the need for native application requirements and added the Twitter and Facebook mobile numbers to his address book. Then all he had to do was ask Siri to send a message, give message details, and send the message on its way! This is a great workaround for a feature currently lacking in Siri’s scope of capabilities. Currently Siri is kind-of-sort-of limited. What I mean is you can do a lot of little things native to iOS. Abilities don’t seem to extend outside of core iOS capabilities. You can use Siri to search the web, create a text message or email, and check the weather. Though that doesn’t seem like much, Siri really makes commanding these tasks verbally incredibly easy. It really is your personal assistant; but its currently that straight out of school, entry-level assistant. The one that has potential but just isn’t quite there. Hopefully Apple will be able to provide some more feature integration with applications such as Twitter and Facebook. Siri is impressive in its current state and surpasses any other voice command utility I have seen to date. Let’s keep our fingers crossed that Apple won’t neglect Siri and they continue to build on it. The platform leads the way, not only for ease of use but, for safety concerns for motorists driving that want to use their device. Many states, like Virginia where I am from, have laws against texting while driving. If you commute like I do, then you probably see people texting or updating some sort of mobile application while slowly moving down the highway. 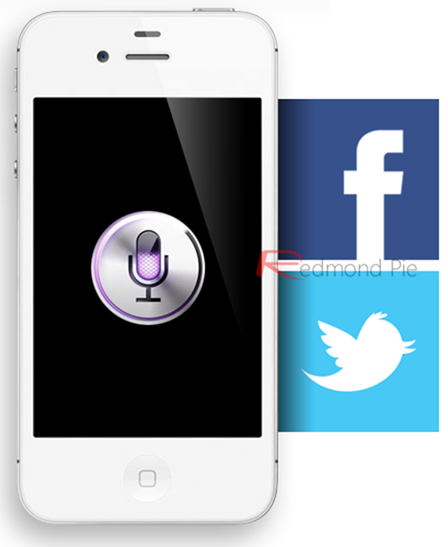 We hope that many of you find this useful as it seems to provide very good functionality for a feature that is currently lacking in Apple’s new Siri voice command utility featured in the iPhone 4S.